Are you thinking of travelling through South East Asia overland? If it’s epic train journeys and a great mix of cultures you’re after, the route I took last year is perfect. I travelled from Singapore to Hanoi by train. The route saw me travel more than 4,500km in total, through five countries: Singapore, Malaysia, Thailand, Cambodia, and Vietnam. In total, I took ten trains, three buses, two ferries, and a whole bunch of taxis, rickshaws, and mopeds. This guide is everything you need to know about how to recreate the trip, or a similar one, for yourself! Everything from how to plan a train journey through South East Asia, to what the loos are like on Asian trains, and everything in between. If you have any questions that I haven’t covered here, feel free to get in touch. 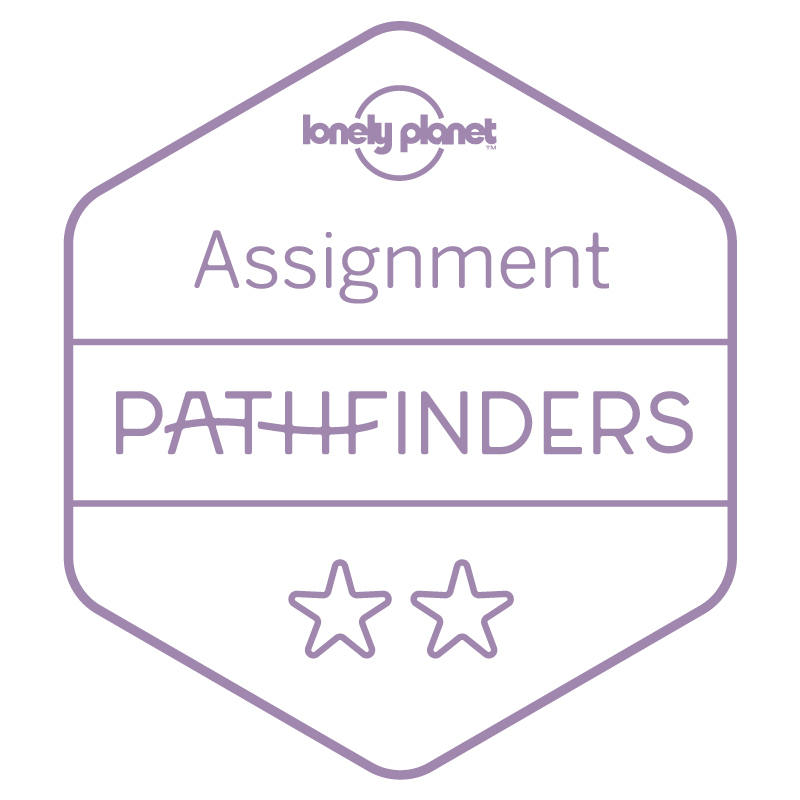 I would LOVE the chance to chat more about my trip – or help you plan your own! Disclaimer: I paid for the entire trip myself and no brands are paying for my endorsement. This post contains a few affiliate links, which means I’ll make a few pennies for anything you book on my recommendation (at no extra cost to you). Planning a train trip across South East Asia can seem like a daunting task. That’s a very long way to travel, and a lot of trains, buses and boats to take! Lucky for you, I’ve put together this massive guide to taking the train from Singapore to Vietnam, sharing all the details I wish I’d known before I left. The first step is to figure out your itinerary, as there are a few routes you can take, and a variety of detour options depending on how long you have to make the trip. My route, which I’ve mapped out below, passed through five countries and stopped off at some of the best tourist destinations along the way. This route goes from Singapore, up through Malaysia, into Thailand, across Cambodia, and finally up the length of Vietnam to Hanoi. 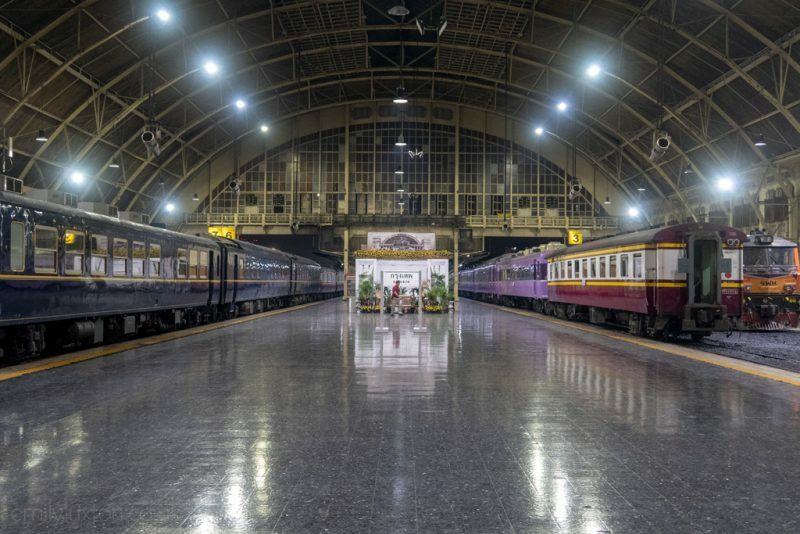 An alternative option is to take a train up through Thailand into Laos, then take a bus from Vientiane to Luang Prabang, and finally one across the border to Hanoi in Vietnam. However, this skips out most of Vietnam (unless you head back south through the country to HCMC). So you have to think about which countries and destinations are most important to you and plan the route accordingly. Luckily, you can book most trains and buses online, with easy-to-use, English-friendly booking sites like Baolau and 12Go Asia – so it’s actually quite easy to plan out your route. Day One – Part One: Singapore to Woodlands Station. Pass through customs and take the train from Woodlands to JB Sentral, five minutes across the border in Malaysia*. Part Two: JB Sentral to KL Sentral Station Kuala Lumpur (usually with a change in Gemas or Tampin), 9 hours. 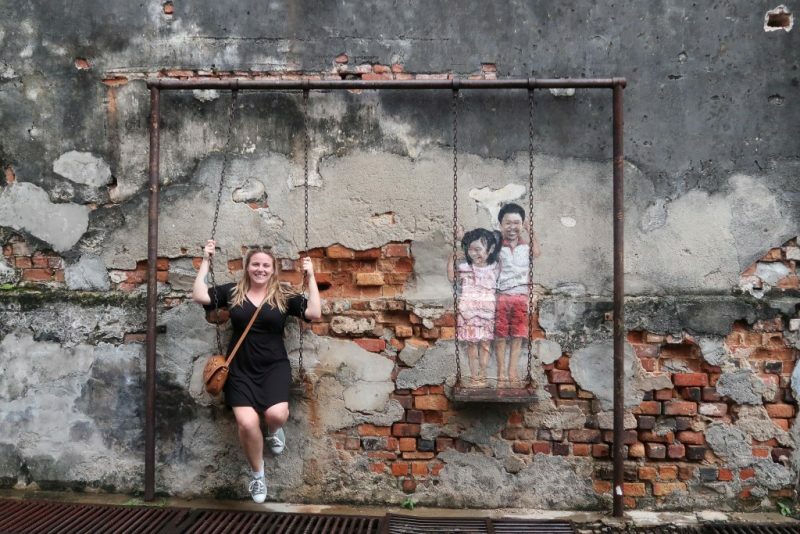 Two – Free day in Kuala Lumpur. Three – KL Sentral to Butterworth Station, 4.5 hours. Ferry to Georgetown on Penang Island, 30 minutes. Four – Free day in Georgetown. Five – Ferry to Butterworth, 30 minutes. Butterworth to Pedang Besar, 2 hours. Pedang Besar to Bangkok, overnight train departing at 5pm daily, 17 hours. Six – Arrive into Bangkok around 10am. Free day in the city. Seven – Free day in Bangkok. Day Eight – Bangkok Hua Lamphong Station to Aranyaprathet, 5.5 hours. Leaves at 5:55am daily. Aranyaprathet to Poipet (on the Cambodian border) by tuk tuk, 5 minutes. Bus or shared taxi to Siem Reap, 3 hours. Nine – Free day in Siem Reap. Ten – Explore Angkor Wat. Eleven – Siem Reap to Phnom Penh by boat, 6.5 hours. Can also take a bus in around 4 hours. Twelve – Free day in Phnom Penh. Thirteen – Phnom Penh to Ho Chi Minh City by bus, 6 hours. Fourteen – Spend the day exploring HCMC. Overnight train Saigon Station to Da Nang, 17 hours. Day Fifteen – Arrive Da Nang and take a taxi or bus to Hoi An, 45 minutes. Sixteen – Free day in Hoi An. Seventeen – Hoi An to Da Nang by taxi, 45 minutes. Spend the afternoon exploring Da Nang. Nineteen – Free Day in Hue. 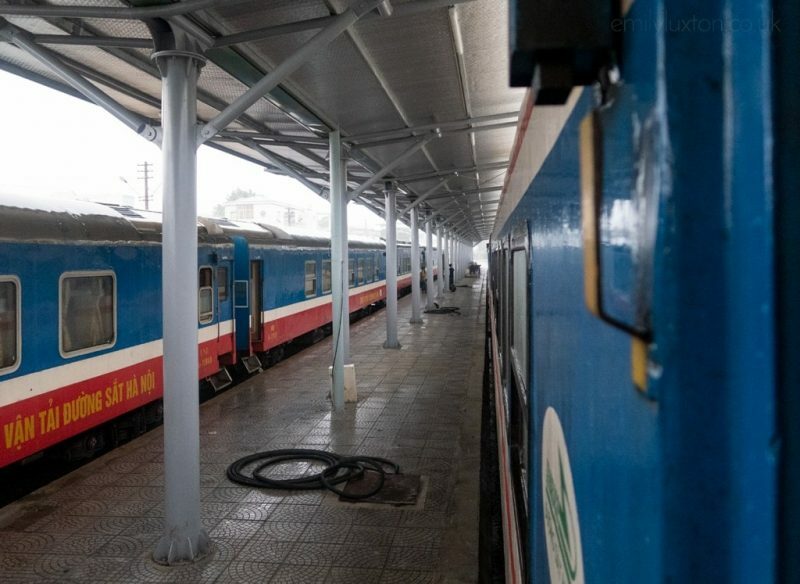 Twenty – Train from Hue to Hanoi, 14 hours. Twenty One – Free Day in Hanoi. *It may be easier to spend a night in JB Sentral to break the journey up as the KL trains often depart early. The amount of time you’ll need for this journey depends on a lot of things. How long you want to spend exploring each destination, how many stops you want, and if you want to make any detours. As you can see from the itinerary above, three weeks is probably the fastest you can do the route and still be able to sightsee in each destination. 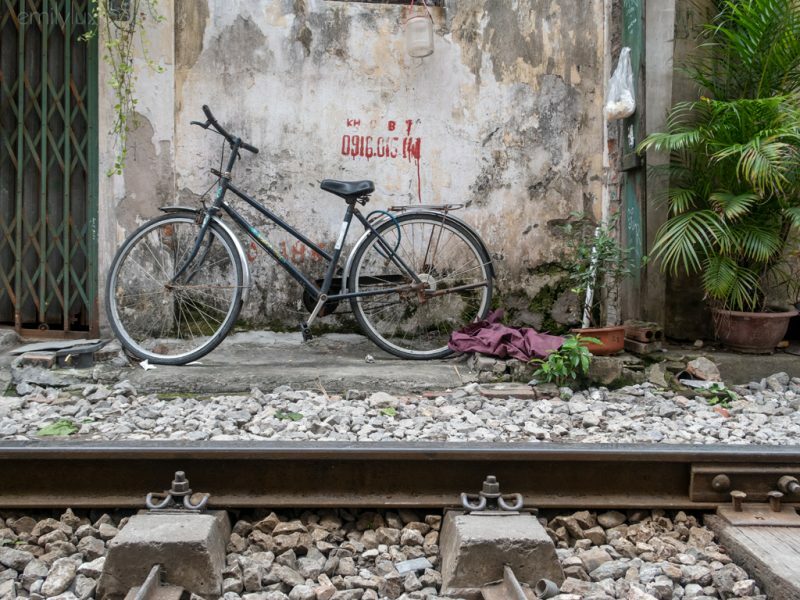 If you don’t take any free days to explore, and skip the detours to Penang and Hoi An, you could do the route in about 11 or 12 days. Alternatively, you could spend a full month and have longer stops in each destination, or add in some extra detours – for example, to one of the Thai islands! The beauty of the route is how flexible it is. You can book almost all the trains in advance online, which means it’s easy to plan the exact route that suits you. One thing I would say is that the longer you can spend taking this trip, the better. There are so many beautiful places to explore along the way, and so many extra stops that you could throw in. Take your time and enjoy it! It’s a good idea to book the trains in South East Asia as far in advance as you can. A week before my trip, some of the journeys I wanted to book were already sold out! It seems popular routes and times can get booked pretty far in advance. That said, if you’re flexible in terms of dates and timings, you may be OK booking a few days before, or even on the day (although bear in mind that some of the train companies don’t sell on the day tickets). The easiest way to book is online, but the rail company websites are rarely in English and generally only accept local cards. I used the following two websites to book all my journeys and found them to be incredibly reliable, and easy to use. 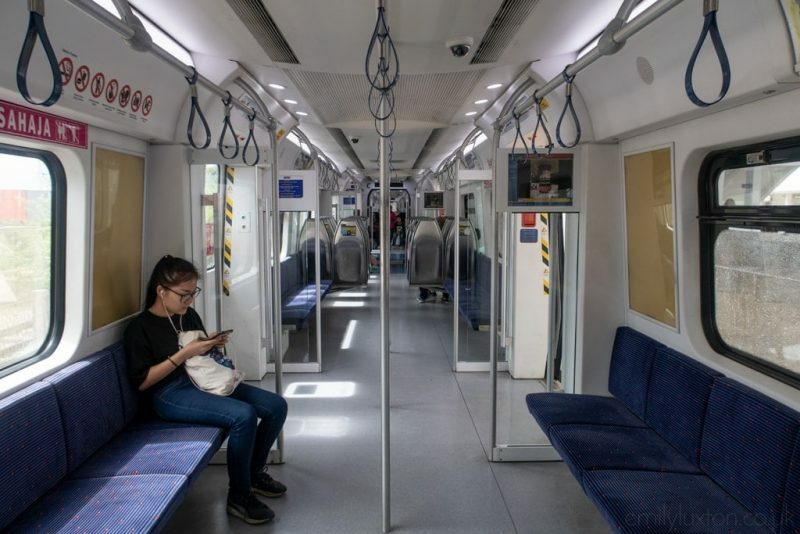 Baolau – search and book train, ferry, and bus tickets in China, Vietnam, Cambodia, Laos, Thailand, Myanmar, Malaysia, Philippines and Indonesia. Easy to use, and often the slightly cheaper option. 12-Go Asia – search and book trains, buses, ferries, transfers and flights in Thailand, Malaysia, Cambodia, Vietnam, Myanmar, Philippines, Laos, India, Singapore, Japan, Sri Lanka, New Zealand, China, Hong Kong, Australia. More destinations and usually more options in the results – but the prices were sometimes a fraction higher. Part one of this journey through South East Asia overland is to travel from Singapore to Malaysia. The capital, Kuala Lumpur, makes a great first stop, although there’s no direct Singapore to Kuala Lumpur train. Instead, you can take the journey in stages. First, travel to Woodlands Station on the border of Singapore. You can get there on public transport from downtown, or I spent $23 SGD (about £13) on a Grab taxi. At Woodlands Station, buy your ticket if you don’t already have one, then make your way through customs. Once you’ve been stamped out of Singapore and into Malaysia, you take a five minute train across the border to Johor Bahru (JB Sentral Station). Because my train to Kuala Lumpur was pretty early in the morning, and the customs queue can be quite slow, I crossed the border the night before and stayed in a cheap hotel near JB Sentral Station. However, it’s entirely possible to travel from Singapore to KL by train in one day. Next, you take the train from JB Sentral to KL Sentral in Kuala Lumpur. This takes around 9 hours, and usually involves a change at either Pulau Sebang (aka Tampin) or Gemas. The scenery is relatively flat and green, with a lot of palm plantations. Woodlands to JB Sentral – there are very frequent trains running all day from 5am to 10:45pm. Search times and prices on Baolau or 12Go Asia. JB Sentral to KL Sentral – the best option is the 8:45am train from JB Sentral to Gemas (arriving at 1pm) followed by the 3:10pm train from Gemas to Kuala Lumpur. Click here to check times and prices. From Kuala Lumpur, it would be possible to head straight to Bangkok, but the trip would be almost two days of travelling and you’d skip most of Malaysia that way. A great next stop is Penang Island in the north of Malaysia. Take a train from KL Sentral to Butterworth. There are several trains departing throughout the day, and it takes around 4 hours 15 minutes. Search times and prices on 12Go Asia or Baolau. The 11:25am train arrives at 3:40pm, which gives you plenty of time for the next leg of the journey. Directly opposite Butterworth station is a bus terminal – follow signs for the Ferry Shuttlebus if you’re not sure. From there you can take a free shuttle bus to the ferry terminal. Ferries depart at least once an hour, usually every thirty minutes, and take around 20-30 minutes to cross to Penang Island. A ferry ticket costs 1.20 MYR (around 20p or $0.30). The ferry will drop you in Georgetown, and you can easily walk to most hotels from the pier. Spend a day or two in Georgetown, or explore the beaches and nature reserves around the island. 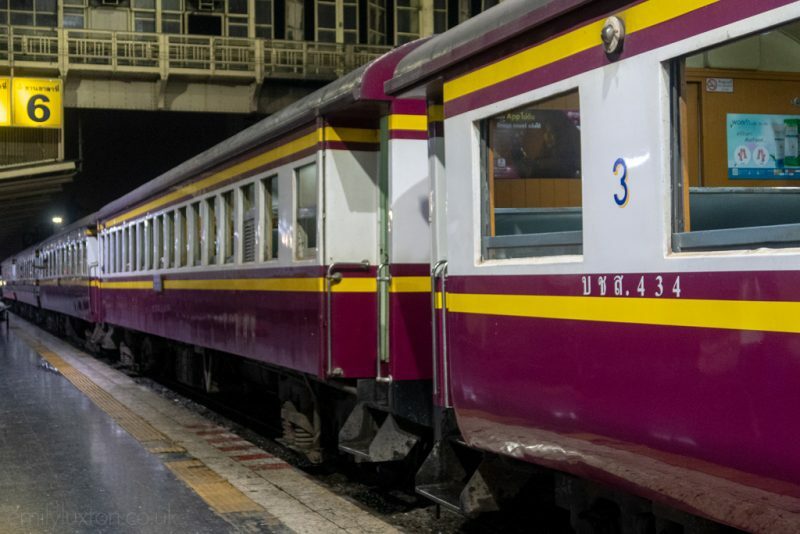 For the next leg of the journey, you’ll want to take the overnight train from the border to Bangkok. If you’re starting out from Georgetown, take the ferry back across to Butterworth and take the free shuttlebus back to the station. Aim to take the 2:25pm train from Butterworth to Padang Besar, which is about two hours north on the border with Thailand. At Padang Besar station, you go through Malaysia’s exit customs first, and then through the Thai customs. There’s a daily overnight train which departs at 5pm local time. The tickets will say 6pm, but that’s Thai time: if you’re in Malaysia you need to arrive at Padang Besar. The overnight train to Bangkok takes around 17 hours. Book early to reserve a bottom bunk if possible as these are a little wider and more comfy. During the day the train has seats, at night a staff member will turn these into bunks so you can sleep. The train arrives into Bangkok at around 10am. Butterworth to Padang Besar – you can’t book this train online or in advance, so arrive with plenty of time to buy a ticket at Butterworth Station. Overnight Train to Bangkok – search prices on Baolau and 12Go Asia. Book this train as early as you can as it is often full. Some sites I read said that the border control at Padang Besar station closes promptly at 4:30pm, but when I was there they stayed open until everyone from my train was through. The next step is to head to Cambodia. Head to Hua Lamphong Station to take the 5:55am train to Aranyaprathet, which is close to the border. This train can’t be booked in advance or online, but I’m told it never sells out. It also only costs 48 bhat (around £1.10). There’s a second train that leaves later, but you won’t arrive in time to go through customs so it’s better to take the early train to avoid spending a night in Poipet. From Aranyaprathet, you can hop in a tuk tuk to Poipet which is right on the border. There are always loads of tuk tuks hanging around outside the station when the train arrives, and depending on your haggling skills you can expect to pay 80-100 bhat (£2-2.40) for the ten minute journey. The tuk tuk will drop you at customs*, where you first get stamped out of Thailand, then walk across the border into Cambodia and get your visa. Be careful with your valuables as pickpockets are common in this area. After passing into Cambodia, people will try to sell you bus tickets straight away. Ignore them and wait for the free shuttle to the bus station. From there a bus to Siem Reap costs $9 USD, or a spot in a shared taxi will cost $12 – there’s an official price list on the wall at the bus station. * If you haven’t already bought a Cambodian e-visa (I recommend it), tuk-tuk drivers may try to take you to a travel agency to buy one at inflated prices. Tell them you have an e-visa (even if you don’t) and say no. The official Cambodian visa office is after the Thai exit, so anyone trying to sell you a visa before that point is not legit. At the moment, there aren’t very many trains in Cambodia, which is why it’s necessary to take a bus to Siem Reap. 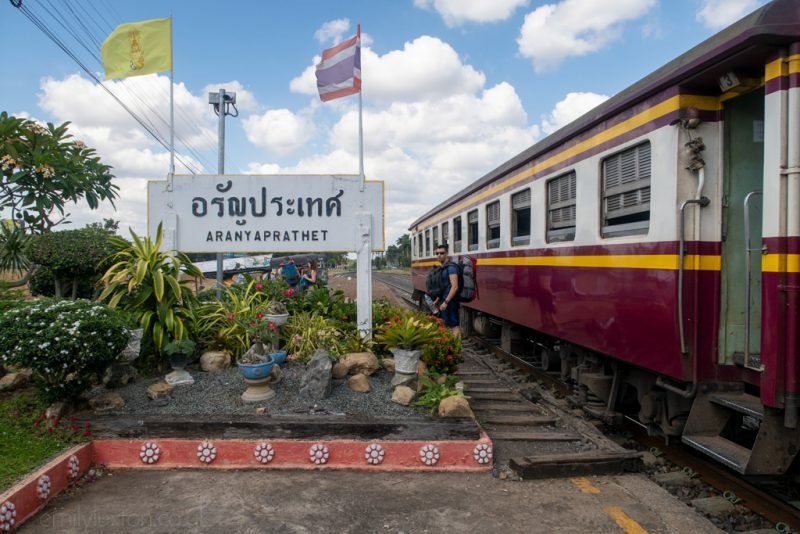 In 2018 a new train began running from Poipet to Phnom Penh, so if you don’t mind missing Siem Reap and Angkor Wat, you can continue your journey from the Thai border by rail. However, if it’s your first time in Cambodia I think a trip to Siem Reap is a must! From Siem Reap there is no train to Phnom Penh (although this may change in the next few years as the country is working on an extensive new rail network). You can take a bus, which takes 5-6 hours (search prices on Baolau and 12Go Asia). Or, a more romantic option is to take a boat from Siem Reap to Phnom Penh. This takes around six and a half hours, and can be booked a day or two in advance at one of the tourist offices in downtown Siem Reap. However, the boat only runs in certain seasons, and when the water level is high enough. You’ll probably have to wait until you’re in Siem Reap to find out if it’s actually running. Again, there is no train (yet) from Phnom Penh to Vietnam. The quickest and most convenient way to reach Ho Chi Minh City is by bus, which takes around 6 hours and can be booked online, with frequent departures throughout the day. Check Baolau or 12Go Asia for times and prices. Another option is to travel by boat to Chau Doc in Vietnam, and then take another boat to Ho Chi Minh City. However, this can’t be booked online and it’s hard to find any concrete information about boat times, so it’s the less predictable route. If you have plenty of time, it’s certainly a more adventurous way to travel from Phnom Penh to HCMC. If you want to take a detour to Phu Quoc Island before heading to Vietnam, you can take a train from Phnom Penh to Sihanoukville on the coast. From there it’s a short bus to the ferry terminal, and a ferry to the island. After Ho Chi Minh City, it’s easy to travel north through Vietnam, and there are dozens of great destinations to stop off at. If you have time, a stop at coastal Nha Trang is ideal for some relaxing beach time. It also helps break up the journey; travelling from Ho Chi Minh to Hoi An by train is a long journey (but a very pretty one). Trains depart Saigon Station in HCMC pretty regularly, so you have a lot of choices. The journey to Da Nang takes around 17 hours, so you may want to opt for an overnight train. Unlike the train to Bangkok, the beds are in cabins of 4, so you might be sharing with strangers. There are no curtains, but you can hang up a scarf if you’re in a bottom bunk. Search prices and times on Baolau or 12Go Asia. Take a train north to Da Nang, then you can get to Hoi An by bus or taxi. The buses are cheaper, but infrequent and take longer. I paid just 403,000 VND (about £13) for the 45 minute Grab ride from Da Nang to Hoi An. After a few days enjoying the beautiful city of Hoi An, head back to Da Nang station. If you have time it’s also worth spending a day or two in Da Nang. The Da Nang to Hue train journey is easily one of the prettiest in Vietnam. It goes around the famous Hai Van pass, with mountains on one side and ocean on the other. The train takes around 2-3 hours and there are fairly regular departures throughout the day, but choose a daytime one to best enjoy the views. And you want to be on the right hand side of the train (as you face the front) in order to enjoy a sea view. Check times and prices on 12Go Asia or Baolau. READ MORE: While you’re in Hue check out my review of the I Love Hue tour, run by my buddy Lien, and my guide to the 14 dishes you must try in Hue! The final leg of the journey is to take the train from Hue to Hanoi. Again, if you have a bit longer and want to plan some detours, there are plenty of places to stop off along the way – Ninh Binh, for example. I travelled on a grey day – but the scenery was still amazing! Hue to Hanoi by train takes around 14 hours, and it’s a really scenic ride so I recommend a day train if you have time. There are still overnight trains available though. You have quite a few options in terms of timings, so do a search on Baolau or 12Go Asia to see what your choices are. From Hanoi, it’s also possible to continue north to the mountains around Sapa, or take a detour to the ever-popular Halong Bay. And if you want to continue your Asia overland journey, you can even take a train all the way back to Europe through China, Mongolia, and Russia. Because you’ll be visiting several countries and crossing a vast area of land, it’s hard to find a perfect time to travel South East Asia overland. Each region has pretty different weather patterns, and chances are you’ll experience a rainy season somewhere at some point. I travelled during November and December, and conditions were pretty perfect – except for torrential rain and flooding in Central Vietnam! I’ve listed each country’s seasons below just to give you an idea. Singapore – rain is possible all year round due to the tropical climate. There are two monsoon seasons, December-March and June-September. Heat is at its peak during the summer months. April-May and October-November are good times to visit. Malaysia – the west coast has rainy season from April to October (although storms are generally brief and refreshing). On the east coast, rainy season runs from November to February. Thailand – the cooler, dry season of November to April is generally the best time to travel. Rainy season runs from May/June to October. It’s worth noting that the north and south of the country have pretty different climate patterns. Cambodia – November through March are considered the better months to visit Cambodia. The wet season runs from May to October. Vietnam – the climate varies quite dramatically from north to south. In the north, winter months are cool but dry, while summer (May to October) is hot and humid, with a lot of rain. Central Vietnam has heavy rainfall in October-December, and dry weather from January to August. In the south, rainy season runs from May to early November. READ MORE: What to do in Vietnam and when to do it! 7. What Are the Trains Like in Asia? You’re only on this train for about 5 minutes so it doesn’t matter too much what it’s like! But it’s a comfy enough train and there’s plenty of space overhead for baggage. Train from Woodlands to JB Sentral. Most of the trains in Malaysia were pretty modern. The newer ones had plug sockets at all the seats, some had screens showing journey updates and TV shows. From JB Sentral to Tampin a trolley service came by twice, while the trains from Tampin to KL and the one from KL to Butterworth both had dining cars selling hot meals. The commuter train from Butterworth to Padang Besar is similar to a metro train, with standing space and seats. There are no toilets or food services on board, but it’s only a two-hour journey. JB Sentral to Tampin – a bit old, but comfy! Tampin to KL – much more modern and very comfy! Commuter train from Butterworth to Padang Besar. The overnight train is old and pretty basic, but comfortable. It has seats that convert into bunks at night, with curtains for privacy. A trolley service sells food but you’ll need Thai Bhat to pay, so try to pick some up before crossing the border if you’re coming from Malaysia. Or you can stock up on snacks at Padang Besar station before boarding the train. Upper berths are a bit narrower and you can’t really sit up in them – plus the ladder situation is a tad precarious – so get a bottom if you can. But neither option is that bad. You can store your luggage under the seats, but avoid big cases as a few people couldn’t fit theirs. There are a couple of plug sockets in each carriage so you can charge your phone if needed – but keep it visible. The lights don’t switch off at night, so bring an eye mask to help you sleep. If you’re sitting on the right hand side of the train you’ll be facing the sunrise in the morning, which is nice. The train from Bangkok to Aranyaprathet is a “3rd Class” train with only fans, no A/C – but the windows open and it’s comfy enough. Arrive as early as you can to get a seat by a window, so you can enjoy the breeze. The right hand side of the train will face the sun, which is good for watching sunrise but can also get quite hot later in the day. Padang Besar to Bangkok – seats during the day. Overnight train to Bangkok – upper berth. Trains in Vietnam were pretty decent on the whole, and newer than the ones in Thailand. If you take an overnight train, there are four bunks in each compartment which can mean sharing with strangers. In theory, you could buy all four beds, but this is expensive and it’s possible that the guard would sell the spare bunks to someone anyway once they realised you weren’t using them. There are no curtains on these beds so I recommend bringing a scarf to hang across your bunk for privacy. The train from Da Nang to Hue goes around the Hai Van Pass, which has amazing views. Sit on the right hand side for coastal views. The train from Hue to Hanoi was pretty comfy. During the morning people come round selling coffee, and at around midday there was a trolley service selling hot food on a plastic tray for 35 VND. I described it in my notes as “not awful”. The trains in Vietnam are old-school, but comfy inside. There are hot meals available to buy on longer train journeys. 7.1 But What Are the Loos Like?! This is a very important question in my opinion. Thankfully, the toilets on most of the trains in Southeast Asia were pretty OK. In Malaysia they were very good, and clean. All trains had either Western toilets or a choice of Western and Asian (squat) – however, some of the loos on longer journeys got pretty dirty after a while so I don’t recommend sitting on the seat! Most of the time there was soap, a working tap, and toilet paper. Being Asia there’s usually a “bum gun” spray as well! In Vietnam the paper always seemed to run out, so I recommend having a lot of tissues or wetwipes on you just in case. On the overnight train in Thailand – this was probably the worst, but still bearable! Washroom area on the Bangkok train. A few essentials for taking the train in Southeast Asia – especially if it’s an overnight train! Pillowcase or scarf to cover your pillow – they didn’t seem to change the pillowcases in Vietnam, only the bedding. And even though the pillows came sealed in a bag on the Thailand train, I was still wary. Take your own pillowcase, or simply a scarf, to put between your face and the pillow! Scarf – you can hang it up for privacy on overnight trains with no curtains. Eye mask – to sleep on trains when the lights are on. Ear plugs – the trains were generally pretty quiet after dark, but it’s nice to have a set of earplugs just in case. Lot’s of tissue – in case the toilet roll runs out. Anti-bacterial handgel – for after using a dirty bathroom! Snacks – in case there’s no food to buy. Bottled water – or use a filter bottle and you can fill up from the bathroom tap without worrying! I LOVE my Water-to-Go bottle (read the review here and use my discount code, EMLUX15, for 15% off). A few seriously useful apps which will make travelling overland through South East Asia a doddle. Booking.com and/or hostelworld – these apps are great for managing your bookings and making on-the-go changes. Dropbox – my favourite app for backing up photos. You can set your phone to auto-backup your camera roll to Dropbox every time you’re on wifi. Visa requirements vary from country to country, and also depending on your nationality. So always check the advice on official government websites before you travel. But here’s a brief overview for British nationals (like me!). All info was correct in Feb 2019. 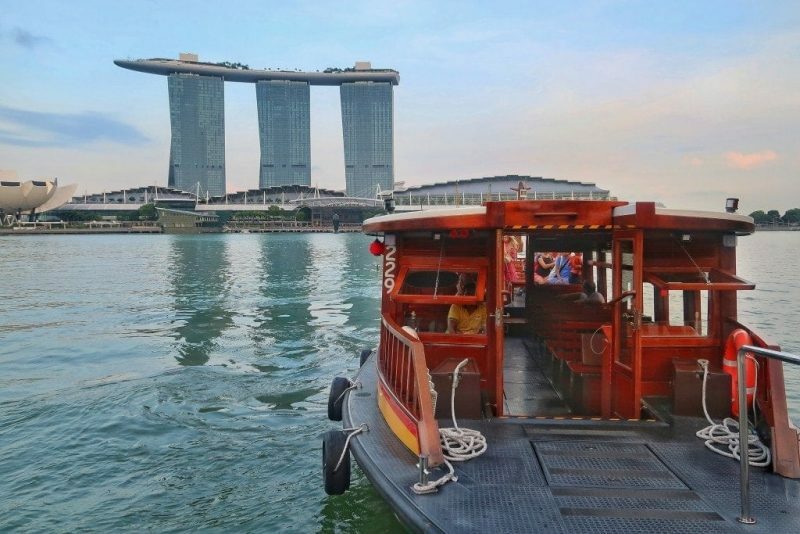 Singapore – you don’t need a visa for visits of up to 90 days. Malaysia – you don’t need a visa, and you will usually be given permission to stay for 3 months on arrival. Thailand – you can enter Thailand without a visa for up to 30 days. When you’re in Thailand it’s possible to extend the stay by a further 30 days at a Thai Immigration Office. Cambodia – Brits DO need a visa to travel to Cambodia. You can get them at the border on arrival, for $30 USD. You’ll need to have a passport photo with you for this. It speeds up the process considerably if you buy an e-visa online (official site here). It costs $36, and you can upload a photo directly to the site which saves you having to take one to the border. This also prevents any issues with people trying to sell you unofficial visas at inflated prices, which is common practice at the Poipet border. Vietnam – at the moment, British citizens can enter Vietnam without a visa for up to 15 days. For visits of up to 30 days you can buy an e-visa online for $25 USD (official site here). If you’re on the Three Network (genuinely the best UK network for travellers), then you’re in luck. Both Singapore and Vietnam are “Go Roam” countries so you can use your phone’s normal data without any extra charges. If you want to use the internet freely in the other countries, or you’re not on Three, you can usually pick up a local SIM card fairly cheaply. Many of the border stations have them available to buy. Make sure you get your phone unlocked before you leave home. You usually need a passport to buy a SIM card. You can pick up pre-paid SIM cards very easily, at gas stations, grocery shops, phone shops, and post offices. The Singtel hi!Tourist SIM Card costs $15 USD for 100GB of local data for 7 days. You can pick up tourist SIM cards at kiosks in most airports, or at anywhere that sells top up (such as electronics stores). Maxis and Celcom are the most popular service providers. The Hotlink SIM card from Maxis costs 10MYR (£1.85) for the sim card, and you can buy 1.5GB of data for 7 days at a further 10MYR. You can buy a SIM card at the 7Eleven shops (which are everywhere). The main networks are dtac, AIS and TrueMove. You can pick up at AIS card for about 50 bhat (£1.20), and you can buy about 3GB of data for around 400 bhat (£9.60). I was able to buy a local Sim card at the little shop in the waiting area for the free shuttle bus to the bus station. They let me pay in Thai bhat, and it cost 200THB for a SIM with unlimited data. Metfone is the largest network provider; you can purchase prepaid SIM cards for $1-$2 in official stores. Vinaphone and Viettel are the two biggest networks with the best coverage. A Vinaphone tourist SIM 30 day package with 5GB costs 100,000 VND (£3.30). Be sure to pick yours up at an official store, as unlicensed SIM cards are unregistered and will likely not work. I was eagerly waiting this post and I’m not disappointed! This has everything I wanted to know for the planning of almost the exact same journey. We will probably spend longer in a few places and do more excursions but you have covered so much I was going to have to spend hours researching! I need to be in Singapore for April 23 (my 60th) so do you think it better to do this in reverse meaning travel through Vietnam and Cambodia would be March and not May? I’m not great on buses though- I get a bit travel sick. Were they awful? The river option sounds a good way out of this when possible. Anyway thanks for this. I’m sharing it with my husband so he can read it too! he bus from Phnomh Penh to HCMC was pretty bad because I booked the cheapest one. There’s a more expensive company called Giant Ibis which had much more modern, comfy looking buses – book that if you can. It’s a longjourney but they stop at the border, and again for food, so it’s not awful. Between Siem Reap and Phnom Penh I paid extra for the “express” minibus, which is a van rather than a coach – faster and more comfy. 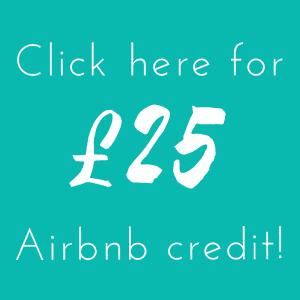 You can also book shared or even private taxi transfers which aren’t too expensive in the grand scheme of things. Direction-wise, I’m not sure. Since Singapore is the whole point of your trip, it might be more fun to save it till the end and finish there! The rainy seasons in most of SE Asia tends to mean short, heavy showers and hot weather. So I’m never put off by rainy season, and travel is often cheaper, but it’s really down to preferance. Singapore is a great final stop because it’s probably the most modern/westernised country – which is nice after a few weeks of travel. But of course it’s also the most expensive country, so if you didn’t budget well during your trip you might be out of money by the time you get there!! So to sum up – either direction would work I think. Sorry that’s not the most helpful answer!! So glad you found the post helpful. And honestly, anything you want to ask just give me a shout. If I have the experience I’ll be happy to share it! Thanks that’s really helpful. I will enjoy the next year of planning and will be back if I have any more questions! Babe this trip sounds INSANE!!! I’d absolutely love to visit Vietnam and WOW what a way to travel – looks and sounds so idyllic! 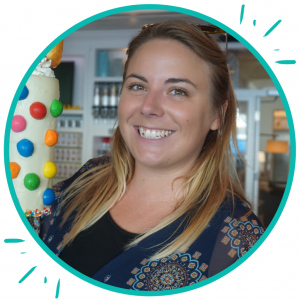 Emily, this is honestly one of the most informative blogs I have read in a long time. I spent most of my time in South East Asia on a motorbike, simpy because i love the wind in my hair. However, next year i am going back with a group of friends who dont like the idea of motorbikes, so i have been looking for an alternative option that doesnt involve sweaty, bumpy buses. Thanks so much for reading George :) I’m so glad to hear it’s useful, I took notes throughout the whole journey and I really wanted to put together a helpful post!! 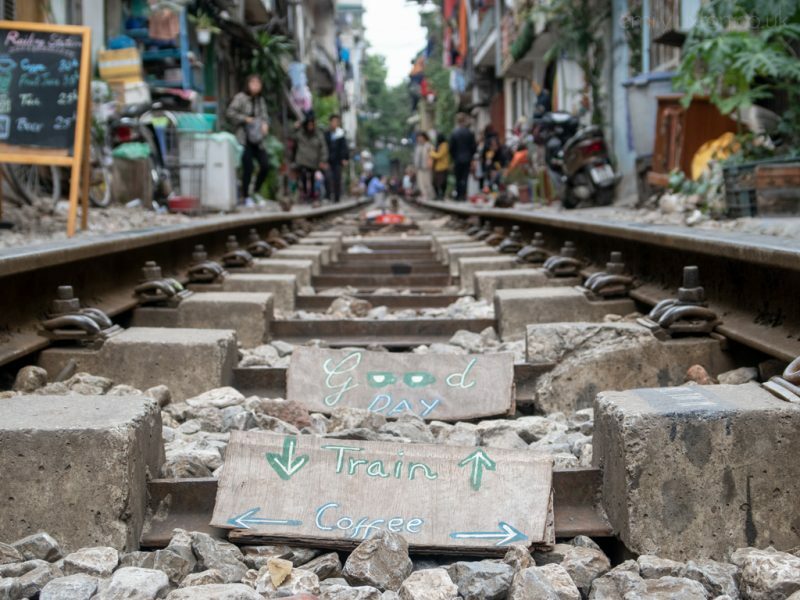 Hope your trip goes well – this is such a great way to travel across SE Asia. I loved it! Thanks so much for reading! I hope you make it to Singapore soon! Hello, thanks for sharing your experience, I would like to ask you how much money did you spend? Hi Siyid! Great question – I’ve been meaning to add it all up for a while now. I will do so, and then let you know (and update the post)!